This cartoon showing Netanyahu working together with an ISIS terrorist appeared Monday on Fatah’s official Facebook page. The Palestinian Authority, while condemning the terror carried out Friday evening in Paris, blamed Israel for the horrific attacks and equated the Jewish State with the Islamic State. The Palestinian Authority (PA) and Fatah, its ruling party, both headed by PA head Mahmoud Abbas, condemned the terror attacks in Paris on Friday and blamed Israeli intelligence for carrying them out, Palestinian Media Watch (PMW) reported. The PA leaders exploited the Paris attacks that killed 129 and wounded 350 – at least a third critically – to “draw an imaginary false parallel to Israel’s alleged terror against Palestinians and to repeat the allegation that Israel is like the Islamic State (ISIS) terror organization,” the watchdog said. Cartoon blaming Israel for Paris terror on Fatah social media. This type of incitement promotes hatred and terror against IDF soldiers and civilians. 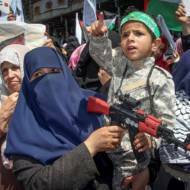 Palestinian terror has intensified since September, with attacks ongoing on a daily basis. On Friday, a father and his teenage son were brutally murdered by Palestinian terrorists near Hebron just a few hours prior to the Paris attacks. We demand that all funding of the PA be stopped immediately. 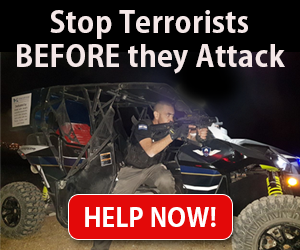 The brutal murder of Israelis committed by Palestinian terrorists throughout Israel is the latest result of ongoing PA incitement against Israeli citizens. Funding the PA means funding terror.